A Bit of Heaven - Wembley, Pietermaritzburg Accommodation. When you’re planning a trip, the last thing you need is hassle and stress. A Bit of Heaven Pietermaritzburg provides a simpler, far more rewarding accommodation solution in the form of our bed & breakfast – your affordable, comfortable and stylish home from home in KwaZulu-Natal, South Africa. 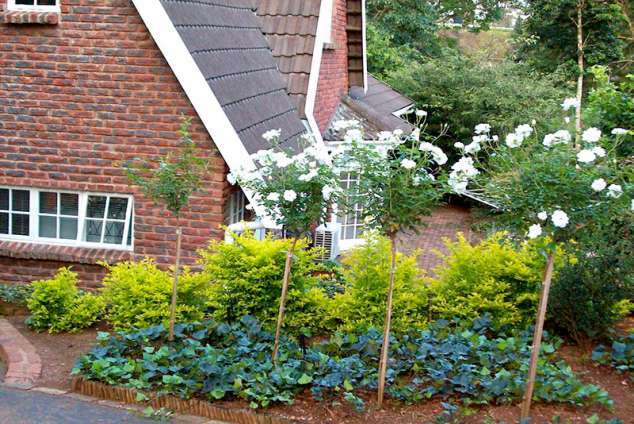 A Bit of Heaven Pietermaritzburg offers guests affordable accommodation in a relaxed, informal environment. Simple, vintage décor and spacious design promises a truly laid-back experience, while bright shades create an inviting space that instantly puts you at ease. Whether you are travelling for business or leisure, a carefully selected range of facilities is designed to give you everything you need without the added frills or fuss. A Bit of Heaven is a peaceful rest, overlooking a fairy tale garden. This centrally situated luxury accommodation is 5 minutes from the Johannesburg and Durban N3 highway, with easy access to all local amenities. We are also a perfect springboard to explore the famous Midlands Meander and the surrounding inherent attractions such as the Drakensburg Mountains. We are 3 minutes from the city centre and 15 minutes from Pietermaritzburg Oribi Airport. Our luxurious carpeted room has air conditioning in summer and heating in winter, a DSTV, a hair dryer, as well as tea and coffee-making facilities. Slippers provided to all our special guests are standard. Luxurious bath robes and eye covers will be available at a minimum charge. Laundry facilities are daily available.The room is furnished with its own small safe to lock up your valuables, a dressing area with big cupboards. Guests have full access to the swimming pool and the barbeque area at the pool. Guests have full electronic access to secure off-road parking. Excellent security. Please note: We would like sensitise you to the fact that due the rather steep descend of our entrance, some vehicles might find it difficult entering our premise – specifically those with a low chassis and low profile tyres. Breakfast on request: We serve an English or health breakfast in your room, and endeavour to cater for special needs and preferences. Vegetarian meals are available on request. Other facilities can be arranged on request. 946 page views since 14 Aug, 2018. Last updated on 15 Aug, 2018.